If you came here from Madge's blog, you're at the right place. 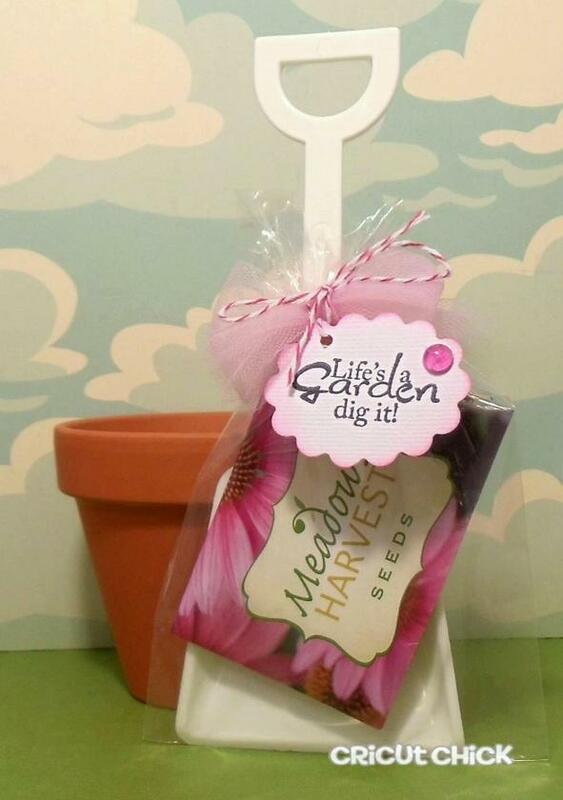 I used the "Life's a garden dig it!" stamp. at the handle with some pretty tulle. Queen's Royal Jewels in Raspberry. Lindsey's blog by clicking HERE! Hope you're having fun on today's hop and stamp release. Julie, any gardener would be proud to receive your package. Love the tulle! TFS! Great project and will make a great gift! Looove it! This is a perfect gift idea! Love it. Easy and adorable. You ROCKED it for sure. TFS! Very cute! Thanks for the invite! Great hop! what a fun little gift. Great stuff. I absolutely love it,love it, love it!! !Love the Stamped Sentiment...its so sweet! Such a great idea Julie, too cute! Hugs! This is SO fun!!! What a GREAT idea!!! I am def going to do something like this as a gift! Another beautiful project! Such a great idea. What a cute gift. This stamp set is by far my fave of all of TSQ's sets. Love, Love, Love your project! it is so adorable. LOVE this idea!! Thanks I will be using this one for sure!! And thanks for the invite to a great blog hop... loving it all!! What a great idea for your gardening friends! you are so stinkin clever! love it. I am in Auhhh..... at your talent. Your so creative, great job! This is Adorable!!! what a cute idea, I luv it! How cute! That's would be the perfect "just because" gift to give someone.